In mixer with paddle attachment (or hand mixer), beat cream cheese and cream until smooth, scraping bowl occasionally with spatula. Add brown sugar, and continue to beat. Add vanilla, orange peel, orange juice and salt, beating until completely combined. For a fun twist, serve this dip with a savory cracker (we really like Food Should Taste Good™ green onion brown rice crackers). 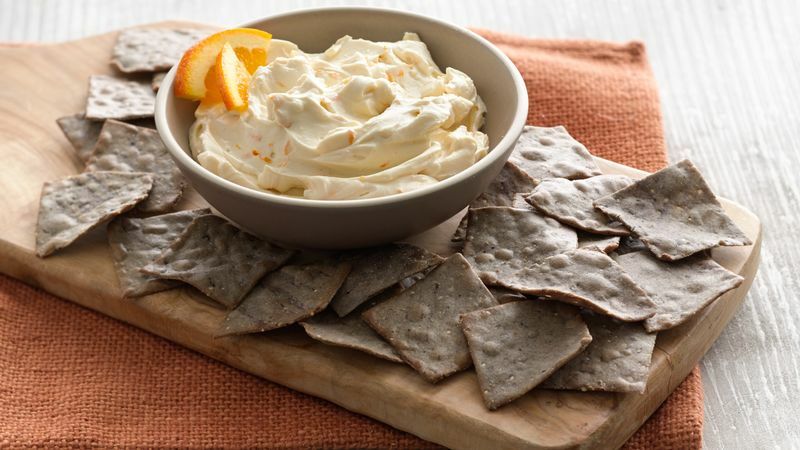 This creamy dip is delicious as a dip or filling for fresh fruit and/or graham crackers!